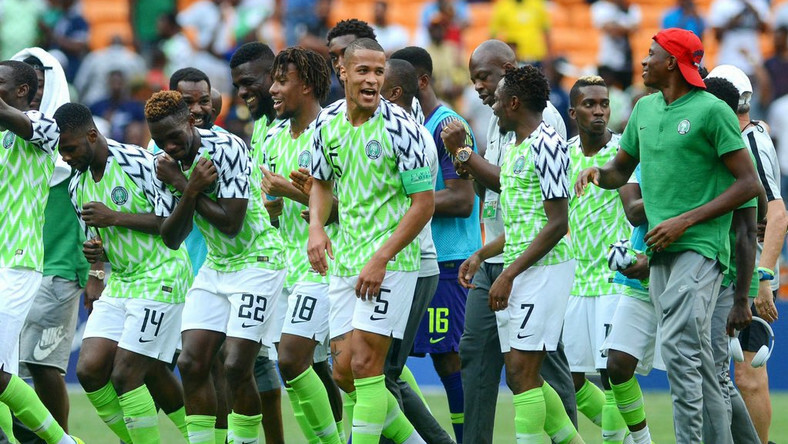 The Super Eagles of Nigeria on Friday defeated the Pirates of Seychelles 3-1 in their final match of Group E for the 2019 Africa Cup of Nations (AFCON) qualifier. The match played at the Stephen Keshi Stadium Asaba, the Delta State capital, saw the Super Eagles dominate the proceedings, but had no goals to show for their efforts. However, the Super Eagles took the lead in the 35th minute of the match when Odion Ighalo converted the penalty awarded to the team when Wilfred Ndidi was brought down inside the 18-yard box. The mistake by Super Eagles keeper, Francis Uzoho, who jumped out of the goal to punch the ball away from the danger zone, ended up sending the ball to the oncoming Seychelles player, who shot into the empty net for the equaliser in the 41st minute of the match. The Super Eagles took the lead again in the 50th minute through Henry Onyekuru, who beat Seychelles goalkeeper with his well directed header at goal. Substitute Moses Simon scored the third the goal for the Super Eagles in the 90th minute to bring the score line to 3-1 in favour of the Super Eagles. The first leg match of the qualifier between the two teams in Seychelles was won by the Super Eagles 3-0. With this victory, the Super Eagles top Group E with 13 points.